In a world where the Powers That Be have deemed any and all secrets illegal, Zeke Thomas must go against the flow he's always followed when he inherits a sealed envelope containing information which could sink the system that's kept humanity alive since the Collapse. Meanwhile, in the year 1843, Zeke's time-removed relative, Zadock, has to leave his one true love languishing in her sickbed to deliver a highly sensitive letter to a legendary general embedded deep in the disputed territory of Texas. An incredibly presented "illuminated novel" which, like last year's S., blends form and function with history and mystery to realise a reading experience that amazes from the first page, Bats of the Republic comes from the co-founder of a small press specialising in "strange and beautiful fiction and nonfiction" with a sideline in detail-oriented design, so the unusual shape Zachary Thomas Dodson's debut takes shouldn't be such a surprise. And yet, the metatextual elements that make this reflexive narrative remarkable are so utterly abundant that they create a state of fantastic stupefaction. In advance of the actual start of the story, we're treated to an exquisite endpaper mosaic, two discrete family trees, a meticulous map charting Zadock's ill-fated flight, a selection of handwritten letters, the first of a few newspaper clippings, and the title page of a whole other novel, namely The City-State by E. Anderson—all of which is as good as guaranteed to make one go um. And Bats of the Republic has hardly even begun! With the death of his grandfather, one such senator, Zeke is poised to take his promised place in Chicago-Land when he discovers the sealed letter I mentioned in the header. DO NOT OPEN, it declares—as does the facsimile reproduced in the back pages of Bats of the Republic, unopened envelope et al—which Zeke takes as his grandfather's last wish. 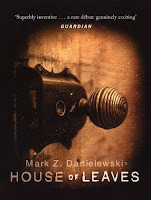 But to knowingly hold a document that hasn't been copied—or carbon'd, in the parlance of this Orwellian hell—is a crime that could lead to the loss of his seat at least, and somehow, the malevolent Major Daxon has found out about Zeke's secret. Just how the malevolent Major came by this knowledge is a question asked in The City-State and answered, interestingly, in the other half of Dodson's novel: an epistolary affair composed of mysterious notes from a man, Henry Bartle, who introduces himself as Eliza's absent father, and a series of potentially relevant letters he claims to have come upon whilst digging around in her husband-to-be's family tree, from Zeke's ancestor Zadock to his bed-ridden beloved, Elsywth Gray. Bartle refers here to the letter Zadock determines, at the request of his intended's dad, to deliver to the general in Texas... but might he also mean the letter Zeke, centuries hence, has inherited? Would it be too much of a stretch, then, to suggest that the letter bound into the last chapter of Bats of the Republic is one and the same? A strange and beautiful book which blends fact and fantasy, Bats of the Republic is boundlessly brilliant in its errata. Had Dodson told its tale straight, however, I'm not sure I would so readily recommend it. The narrative is complex, yes, but quantity is not quality, and when you peel away its exceptional presentation, much of what remains is mundane, which is to say peculiarly plain. This isn't an issue in and of itself, yet the absence of incident leaves a lot of the heavy lifting to Dodson's cast of characters, and alas, they're a mixed bag. Zeke, for instance, rarely felt three dimensional to me, and The City-State's supporting players—chief among them Henry Bartle and Major Daxon—are at best sketched. Eliza alone is deftly drawn, but Dodson doesn't give her a great deal to do. Happily, the other half of the whole fares far better. "Despite his failures, [Zadock] is a more fascinating character than many men who accomplished much more," (p.48) and his eventual descent into what some might call madness—when the man's "mental state must be called seriously into question" (p.289)—is rendered with restraint and real feeling. 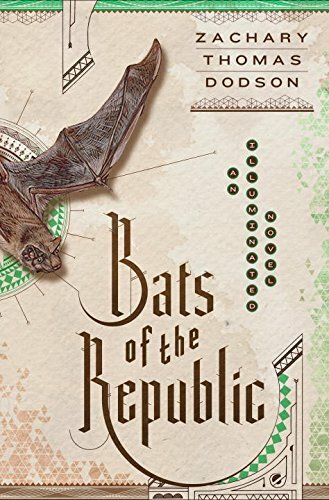 Bats of the Republic is indubitably a better book because of the time invested in its extraordinary design than it would be without, but don't be so quick to dismiss Zachary Thomas Dodson's novel as gimmickry, for in the final summation, its form is its function—and that's fine.